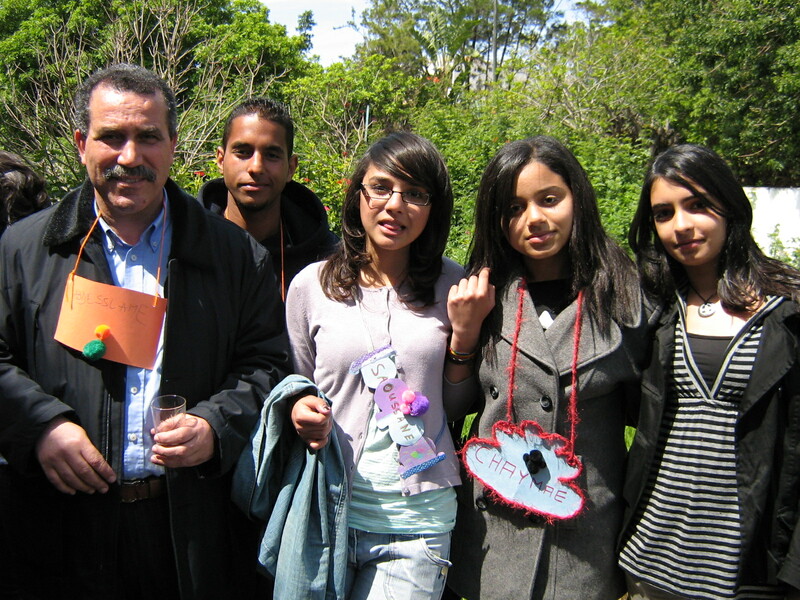 In 2009 I was fortunate enough to receive a grant to participate in CAI in Morocco with fellow high school educators as well as groups of students from northern and southern Morocco. 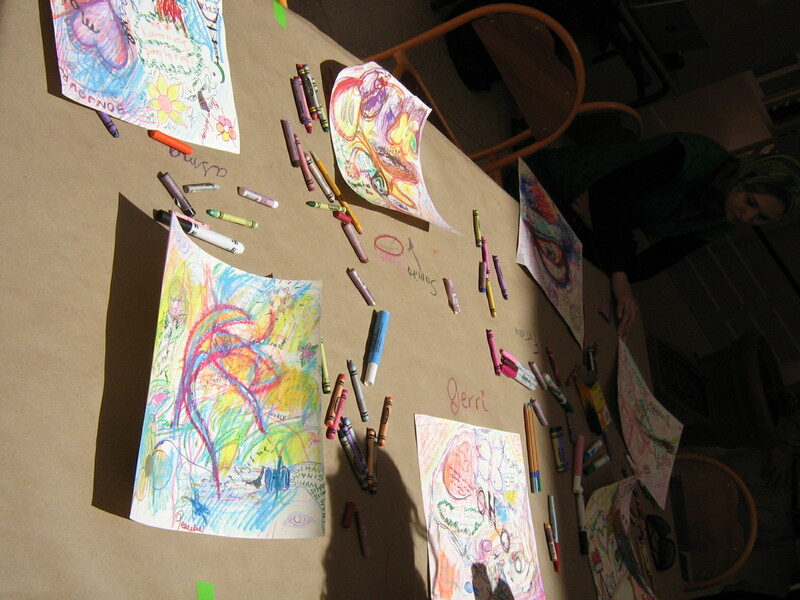 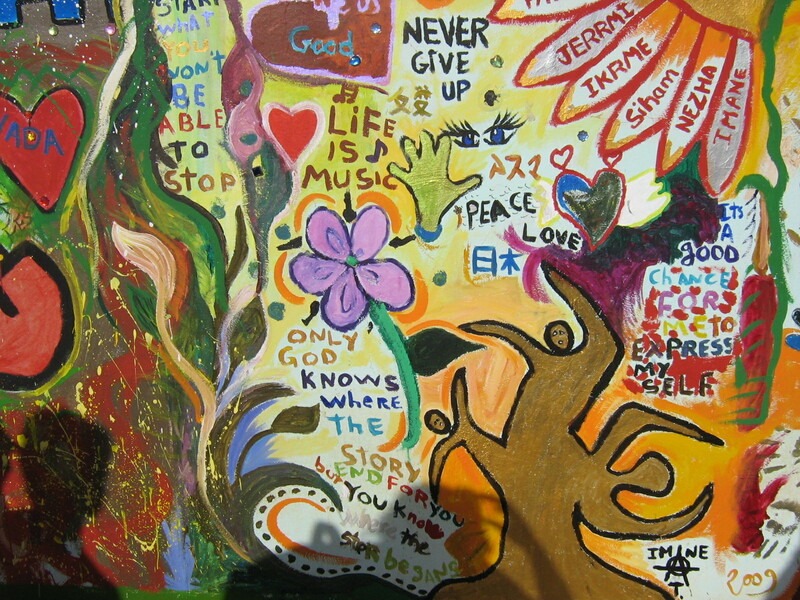 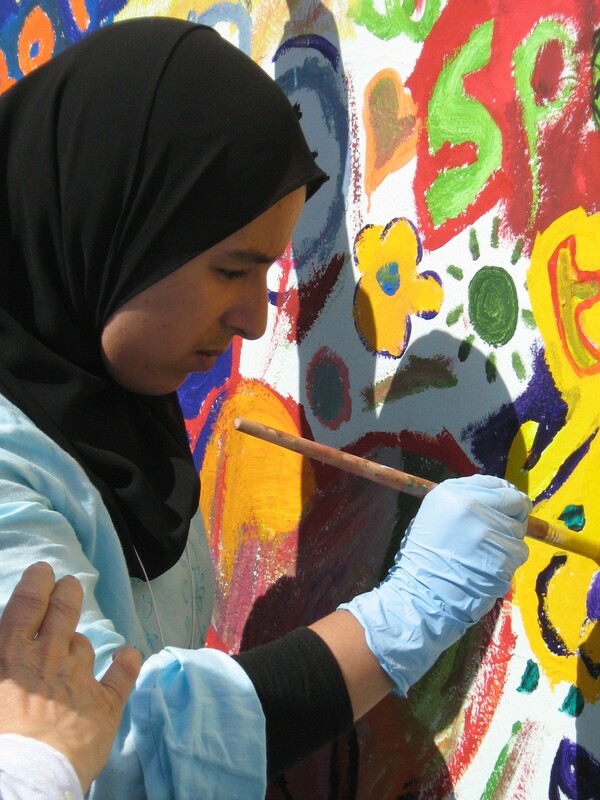 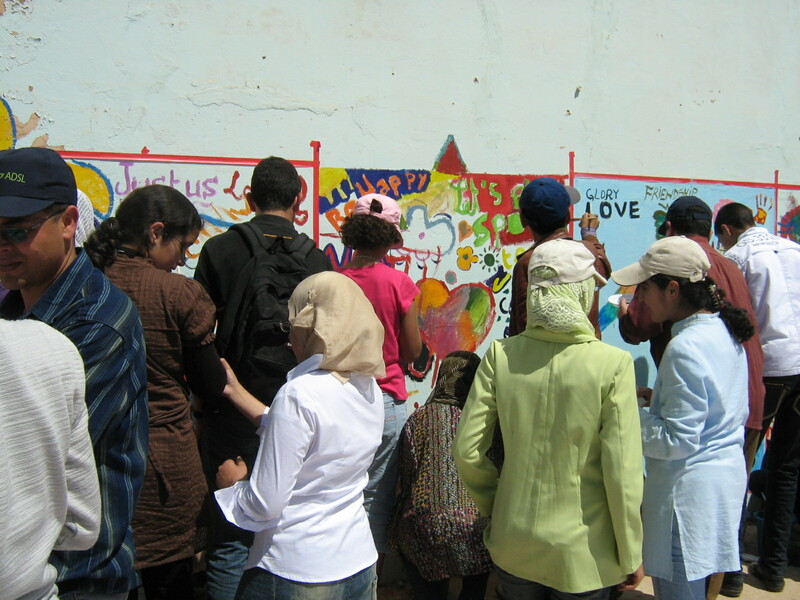 “The Collaborative Art Initiative (CAI) brings together teachers, youth leaders, and young people from three continents in the spirit of artistic expression to create sacred public spaces where mindful interaction, open dialogue, and collaboration become possible and tangible. 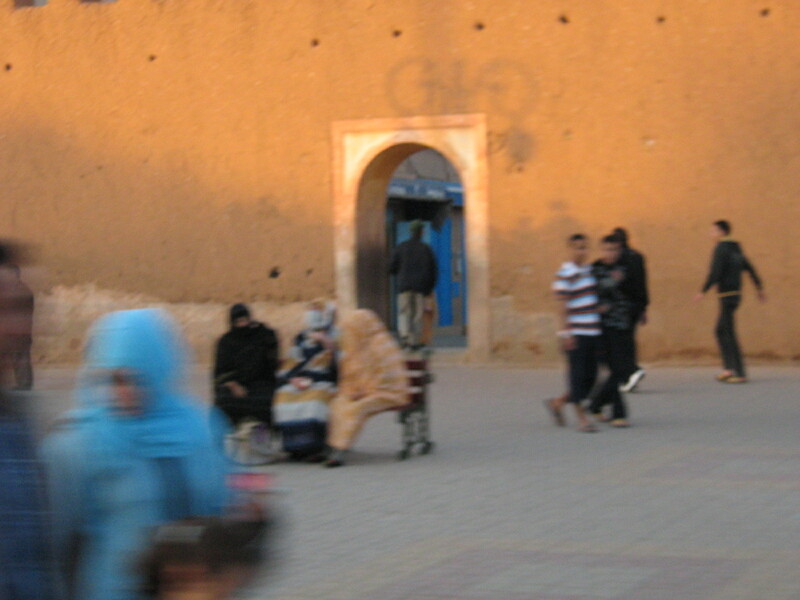 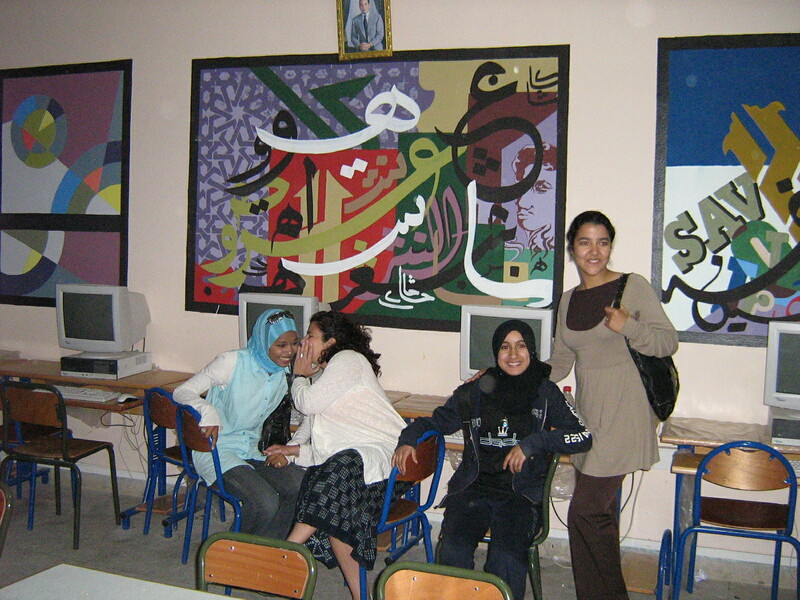 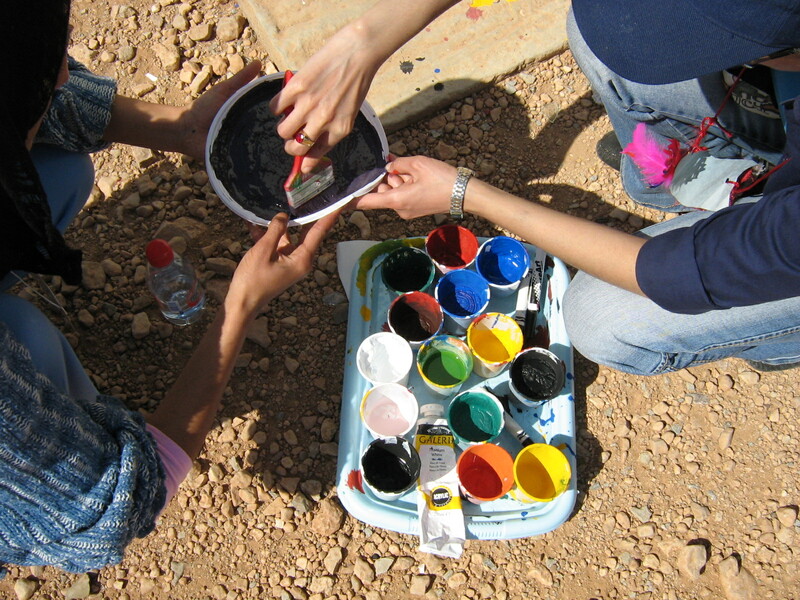 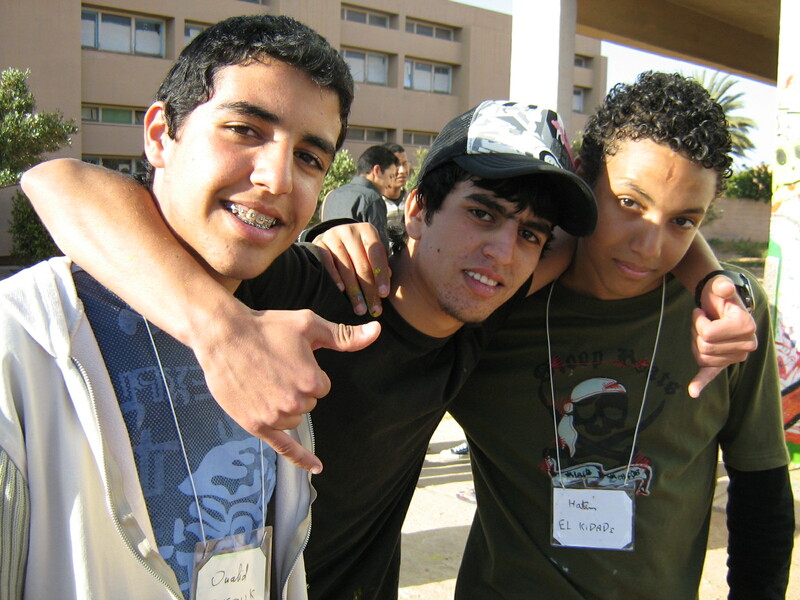 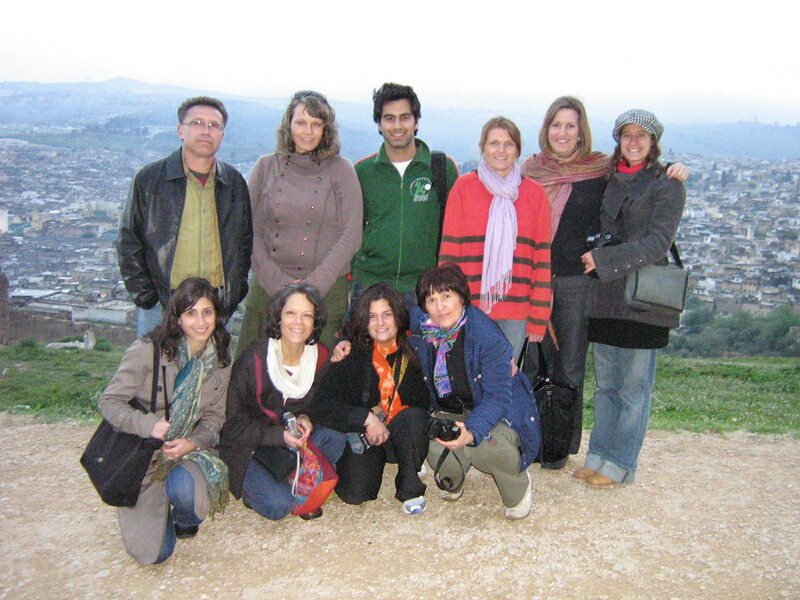 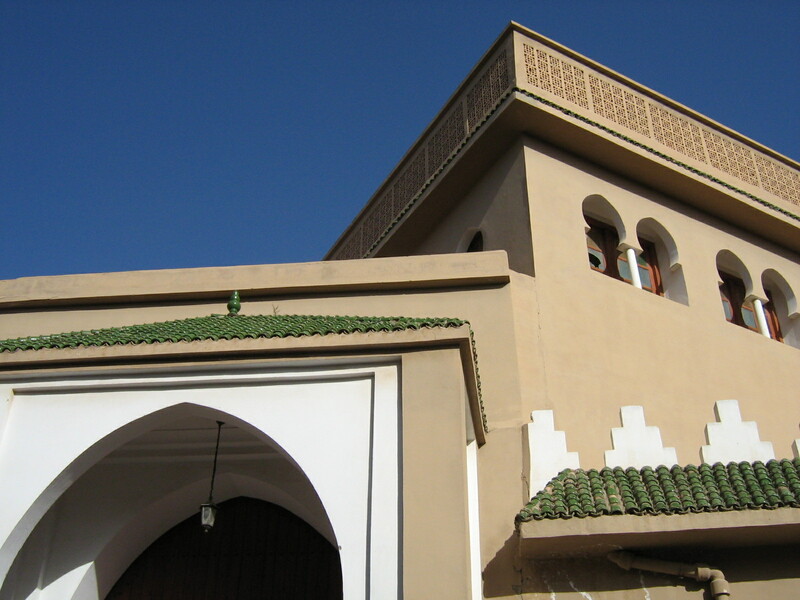 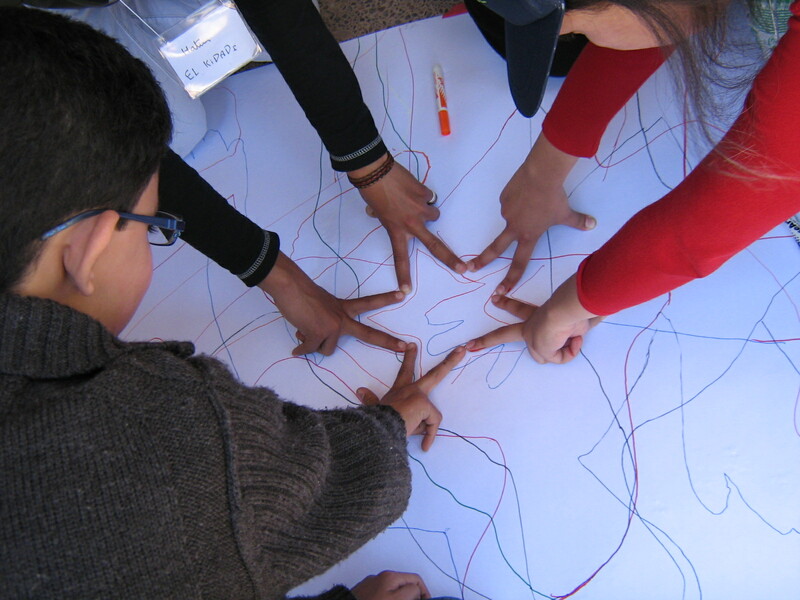 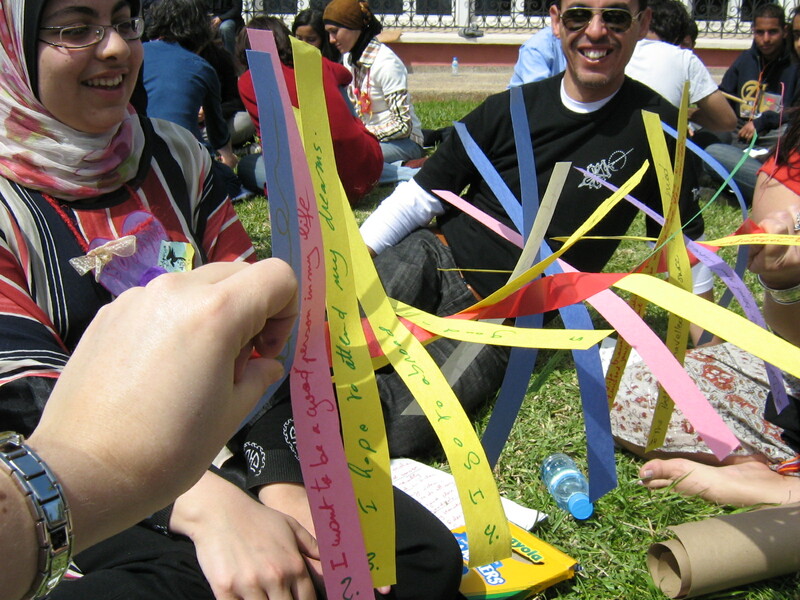 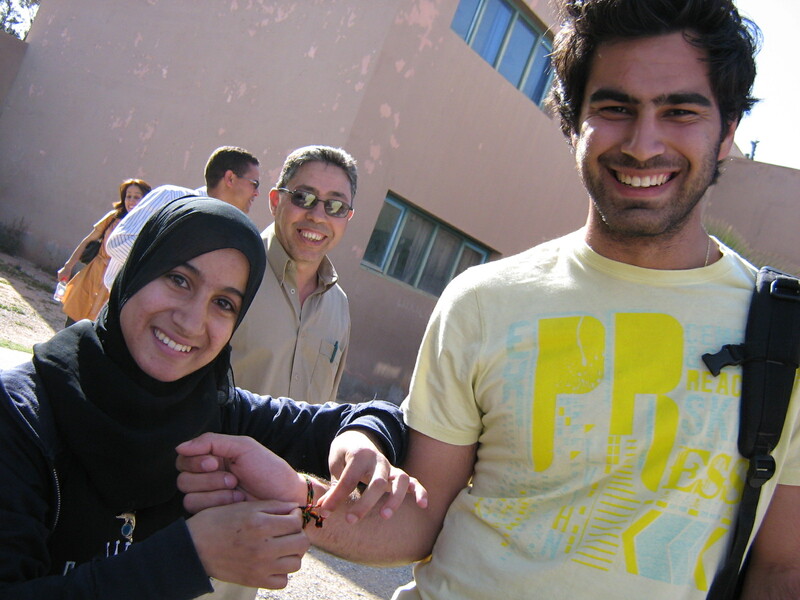 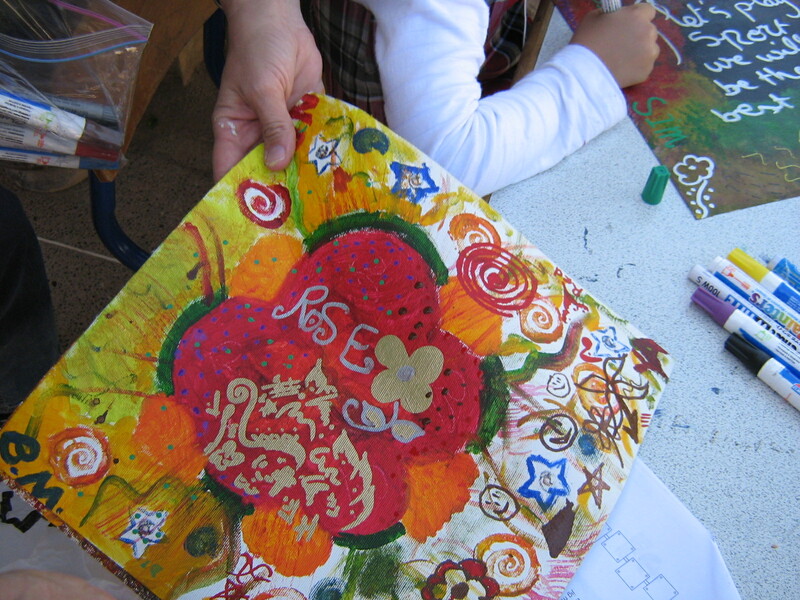 The CAI is a dynamic, two-phase educational and cultural exchange program of the University of the Middle East Project (UME), which took place during 2008 in the U.S. and 2009 in Morocco. 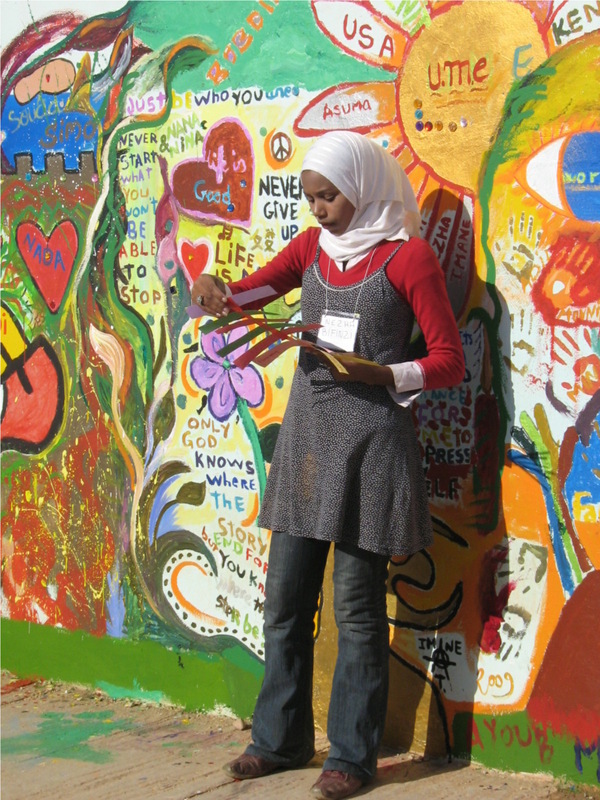 In combination, the various elements of the program seek to capture the sense of sacredness in different spaces, the gift of the arts to humanity, and the feelings of freedom, change, and progress that creativity brings to individuals and communities. 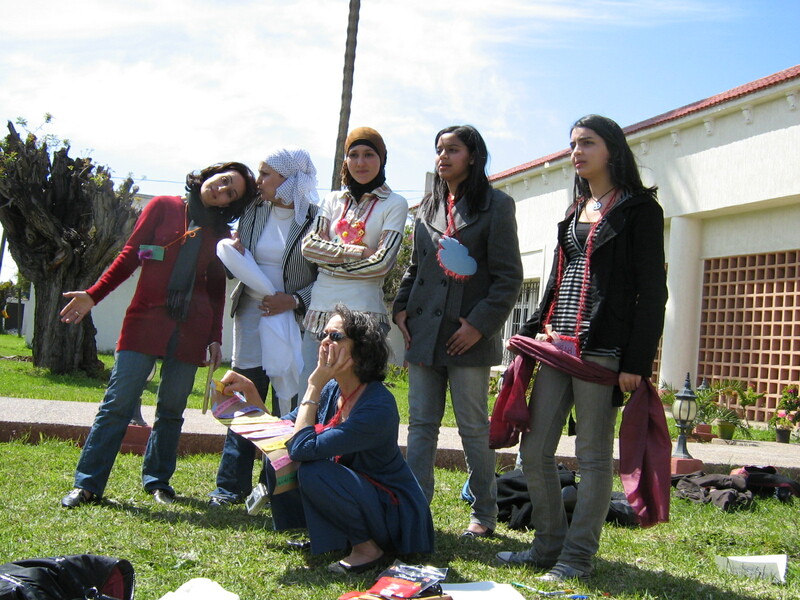 The program included a blend of classroom hours, creative practica, cultural activities, and visits to community sites and institutions, including art galleries, youth centers, and sacred and historical sites.